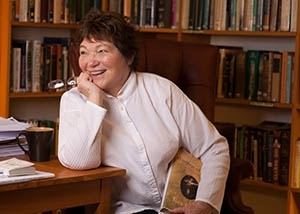 For a list of book tour events and readings, please click here. Announcing – Women of Will – The book! Available from Random House. 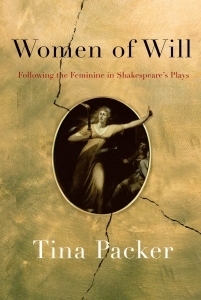 From one of the country’s foremost experts on Shakespeare and theatre arts, actor, director, and master teacher Tina Packer offers an exploration—fierce, funny, fearless—of the women of Shakespeare’s plays. A profound, and profoundly illuminating, book that gives us the playwright’s changing understanding of the feminine and reveals some of his deepest insights. Packer, with expert grasp and perception, constructs a radically different understanding of power, sexuality, and redemption. Beginning with the early comedies (The Taming of the Shrew, Two Gentlemen of Verona, The Comedy of Errors), Packer shows that Shakespeare wrote the women of these plays as shrews to be tamed or as sweet little things with no definable independent thought, virgins on the pedestal. The women of the histories (the three parts of Henry VI; Richard III) are, Packer shows, much more interesting, beginning with Joan of Arc, possibly the first woman character Shakespeare ever created. In her opening scene, she’s wonderfully alive—a virgin, true, sent from heaven, a country girl going to lead men bravely into battle, the kind of girl Shakespeare could have known and loved in Stratford. Her independent resolution collapses within a few scenes, as Shakespeare himself suddenly turns against her, and she yields to the common caricature of his culture and becomes Joan the Enemy, the Warrior Woman, the witch; a woman to be feared and destroyed . . .
As Packer turns her attention to the extraordinary Juliet, the author perceives a large shift. Suddenly Shakespeare’s women have depth of character, motivation, understanding of life more than equal to that of the men; once Juliet has led the way, the plays are never the same again. As Shakespeare ceases to write about women as predictable caricatures and starts writing them from the inside, embodying their voices, his women become as dimensional, spirited, spiritual, active, and sexual as any of his male characters. Juliet is just as passionately in love as Romeo—risking everything, initiating marriage, getting into bed, fighting courageously when her parents threaten to disown her—and just as brave in facing death when she discovers Romeo is dead. And, wondering if Shakespeare himself fell in love (Packer considers with whom, and what she may have been like), the author observes that from Juliet on, Shakespeare writes the women as if he were a woman, giving them desires, needs, ambition, insight. Women of Will follows Shakespeare’s development as a human being, from youth to enlightened maturity, exploring the spiritual journey he undertook. Packer shows that Shakespeare’s imagination, mirrored and revealed in his female characters, develops and deepens until finally the women, his creative knowledge, and a sense of a larger spiritual good come together in the late plays, making clear that when women and men are equal in status and sexual passion, they can—and do—change the world. Part master class, part brilliant analysis—Women of Will is all inspiring discovery. Click here for a full schedule of upcoming readings, signings, and other special events.